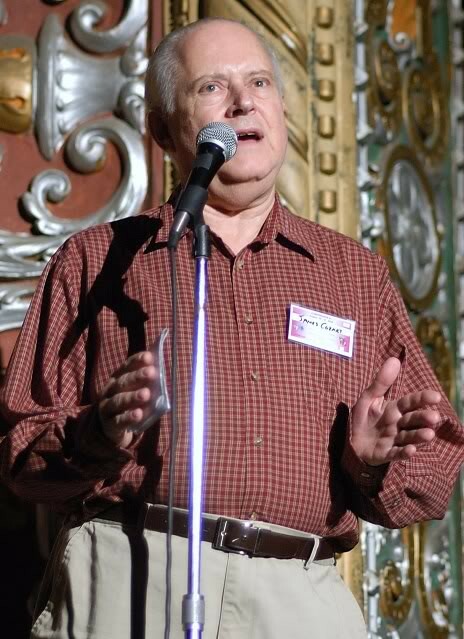 It is a very sad occasion that I have to announce that my old friend and one of the finest film preservationists that walked this planet, James Cozart, passed away today after a brief illness. He had been at the Library of Congress for decades and was their senior and frankly irreplaceable and finest film preservationist. He had forgotten more about restoring and preserving motion picture film than most anyone else could ever learn, and anyone with any knowledge of actual film restoration work is a rare commodity today. Everyone in this area of interest has him to thank for being able to see good restored and preserved prints of countless silent and early sound films. He was also a very nice man, kind and courteous and willing to spend his valuable time explaining what he did to any newbie who was interested. He once told me that he got into doing this sort of work when he was still a kid and he read an article in POPULAR MECHANICS about building film printers and went about building a working one in his Dad's Garage, he was something like ten years old at the time. Our sincerest condolences go out to his wife Cynthia and his Family, this is a sad personal loss and a serious loss to our community.